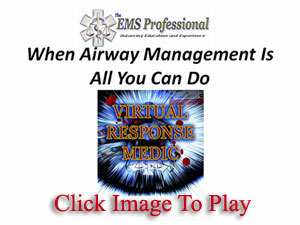 This VRM responds to a difficulty breathing patient. It’s important to remember all the many respiratory conditions you can encounter on these calls while also keeping the basics like airway management in mind. Especially if that is the only thing you can do for the patient. Watch this episode to see what the VRM found upon arrival and what the patient outcome was. This VRM covers a response to a patient whose internal defibrillator went off. Watch to find out what was found and points you should be thinking about for these EMS call types. Getting caught up in a call type can leave you with tunnel vision. This VRM points out how this can happen and discusses a call that could have been just that. Have you had situations like this? How do you keep on track and avoid treating the call type? Post your comments about your experience. 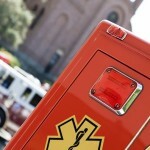 The VRM assists another paramedic on a witnessed cardiac arrest call. While there was ROSC, find out what the VRM felt was more important to note about this call. Take a look at the response to a highway accident. While MOI isnt always the best way to decide treatment, many EMS guidelines require that certain treatment be given based on MOI alone. What did the VRM do and what would you have done? Be sure to leave your comments below.